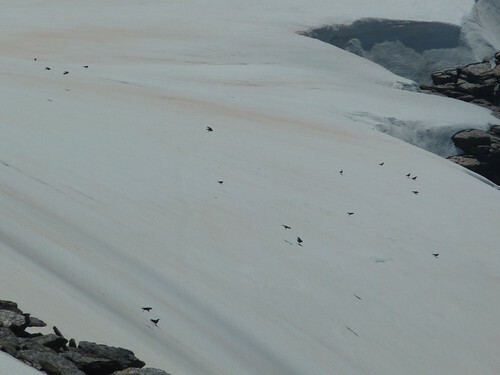 One question I have to ask is why did we see so many insects above 3000m in the snow, alive? The majority were earwigs but there were also ladybirds and grass hoppers? We saw a big group of Choughs who I assume were feeding on the insects. 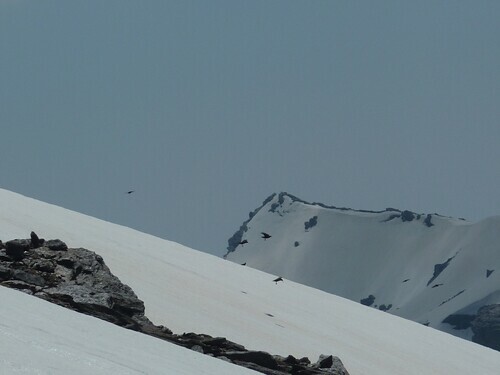 We also saw Vultures trying to cross the Sierra Nevada but were eventually beaten back by either wind in the wrong direction (they were flying straight into it) or lack of thermals? Re: Crossing the Sierra Nevada in full winter conditions in June! The clock of life is inside any individual and any species. Possibly your insects has ringed up to spring wrong this time, hopping it was the time, but climate was not yet the appropriate. In this case they will die quickly under the cold weather, and will go then as a valuable part of the chain of life and ecosystems (choughs). Other way, flying insects as ladybirds have no problems, because they quickly will fly to lower places in the hot valleys. Also, the strongest of them will do their roll about the evolution of the species. So, the most intelligent and the strongest individuals will survive till springtime come there in the high mountains. Yet some of snow here, at Almería area (Nevada and Gádor). Think also that perhaps this situation you have seen occurs so every year, and its absolutely normal there. It´s only an opinion. Glad to hear Almeria still has snow, we dont think the snow will go this year . The ski station is still working on the pistes, you can ski from Veleta to below the middle station, although the lifts are shut so you have to walk up! 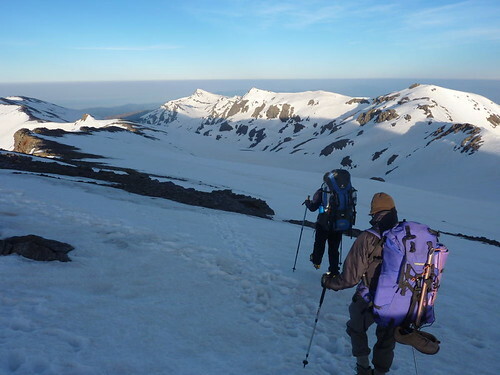 It was amazing to be in the Sierra Nevada in full winter conditions when Lanjaron was at 30C!